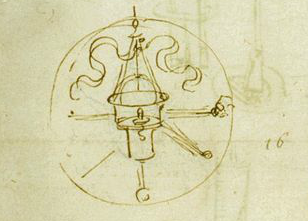 Leonardo da Vinci’s emblems are 16th Century logos. 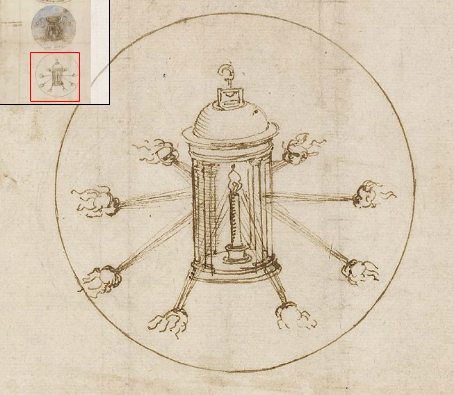 The Royal Collection in London has two pages of drawings, one consisting of the sketch, and the other consisting of the three sketches compiled onto one page, in a finished state. 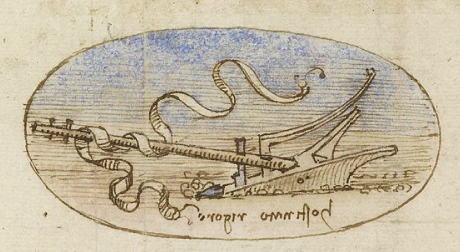 They date from between 1506-1510, during Leonardo’s second Milanese period. 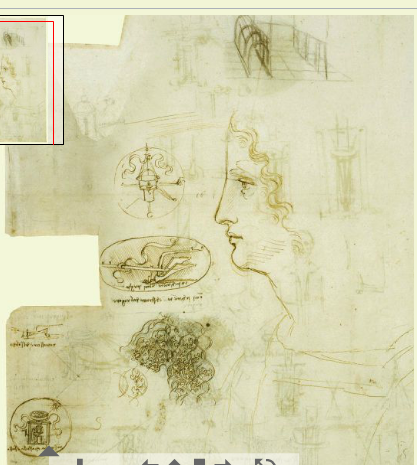 The sketch page is of interest due to the large profile to the right of the sketches. It occurred to me in looking at this that perhaps the profile was there as a source of inspiration. 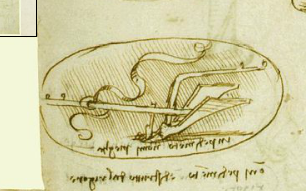 We see the curl of the boy’s hair reflected in the curl of the ribbon, for example, and my thought is that Da Vinci was trying to create an emblem/logo using forms inspired by the face. 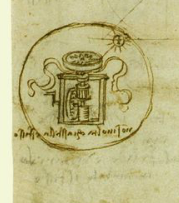 His logos then can be broken down into the abstraction of the face: a circle or an ovoid encloses shapes arranged symmetrically which signify an identity. 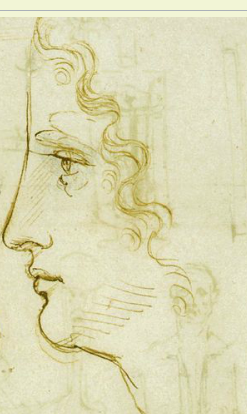 Da Vinci’s face is in profile, while his emblems ‘face’ us directly … so perhaps my idea would seem more cogent if his boy was looking directly at us. 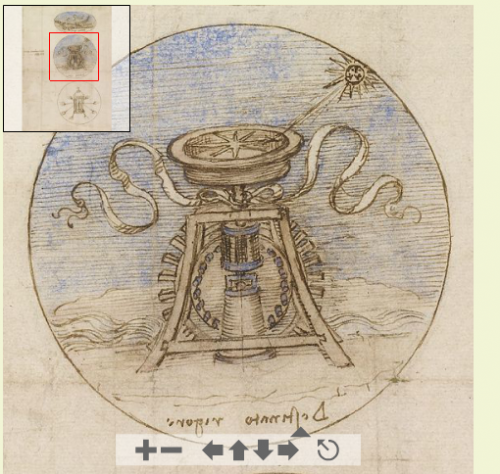 The images are screencaptures from the Royal Library collection online.